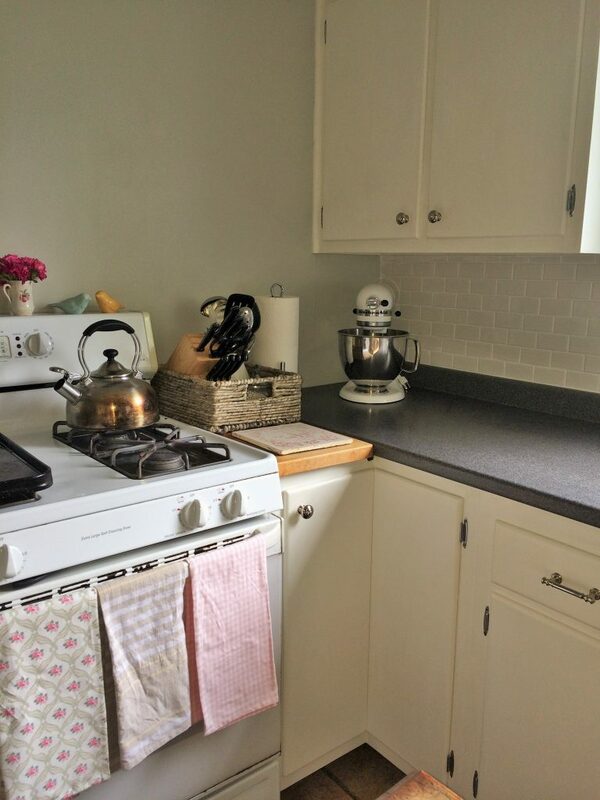 Being a stay at home mom keeps me on a tight budget, and this was my kitchen on a budget renovation. Don’t get me wrong, I would love to have a new kitchen (dream about it everyday), but I wouldn’t change a thing for the time I was able to spend at home with my girl all of these years. 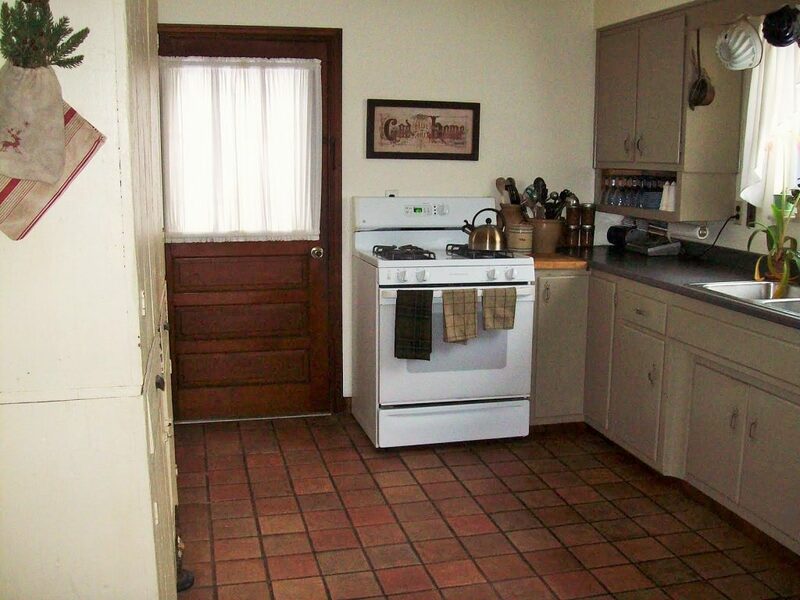 We have a small kitchen with hardly any storage. I have one upper cabinet that I use for dishes, glasses, and cups. There is a smaller cupboard above my refrigerator, but it is hard to get to. All of my Christmas dishes are stored there. 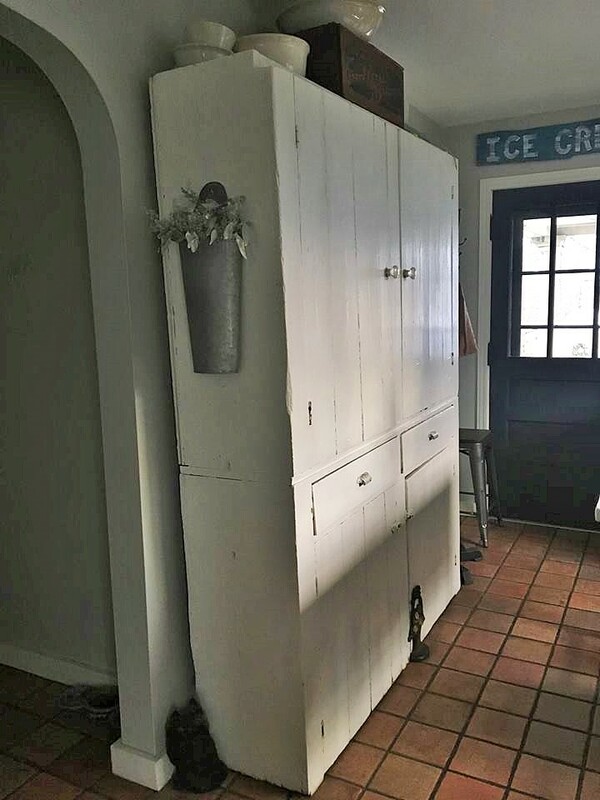 Luckily, I was able to buy this old pantry cupboard off of my friend Audrey from 1824 Walker Farmhouse. It has a lot of space, and holds everything else! 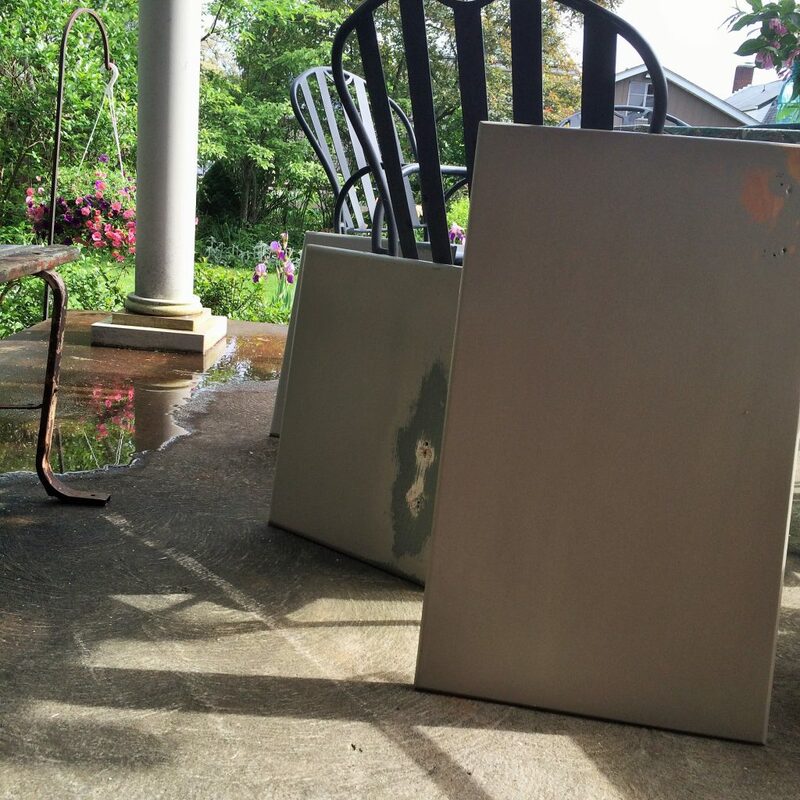 The first time I painted my wood cabinets, I used latex paint. I sanded, primed, and painted 2 coats. It lasted a few years, but then started to become gummy and peeling. I lived with those for years while Lydia was still little, retouching as I could. They were awful. One day, I was visiting a friend and she showed me a piece she had done from a class that she took on chalk painting. 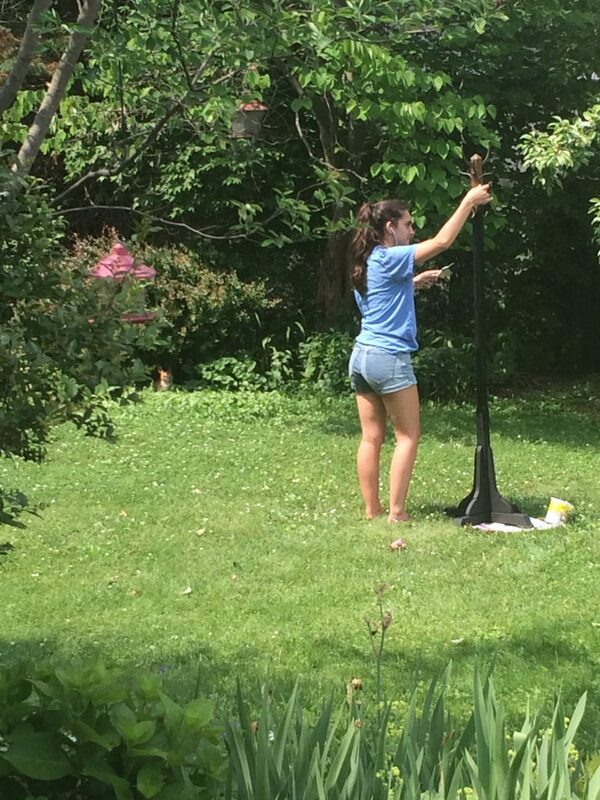 I went home that afternoon, bought a little bottle of blue chalk paint and wax, and painted a little bench that night. I was hooked! I went right to those cabinets, no thinking about it, and no turning back. Dino thought I was crazy. The first thing I did was to remove all of the hardware from the doors and drawers, and fill the holes where the pulls and knobs used to be. This was pretty easy. I used Dap Plastic Wood Filler, but any one will do. It dries very quickly, so you can sand it smooth right away. The next step, clean the cabinets thoroughly using some type of detergent that has a degreaser in it. 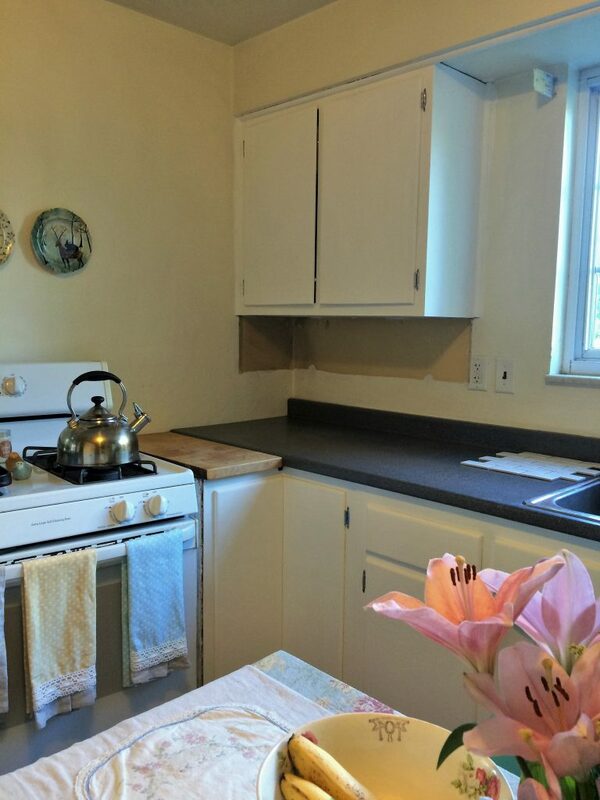 You don’t want any oils on the cabinets before you paint. Then I very lightly sanded them using a fine grit sandpaper block. I don’t even think I did the cabinets, just the door and drawer fronts. Wipe down afterwards with a slightly damp towel and let dry. After that, get in there and paint your heart out! I used a paint brush, a foam brush, and a small roller depending on what area I was working on The paint is forgiving and you don’t have to be that neat. 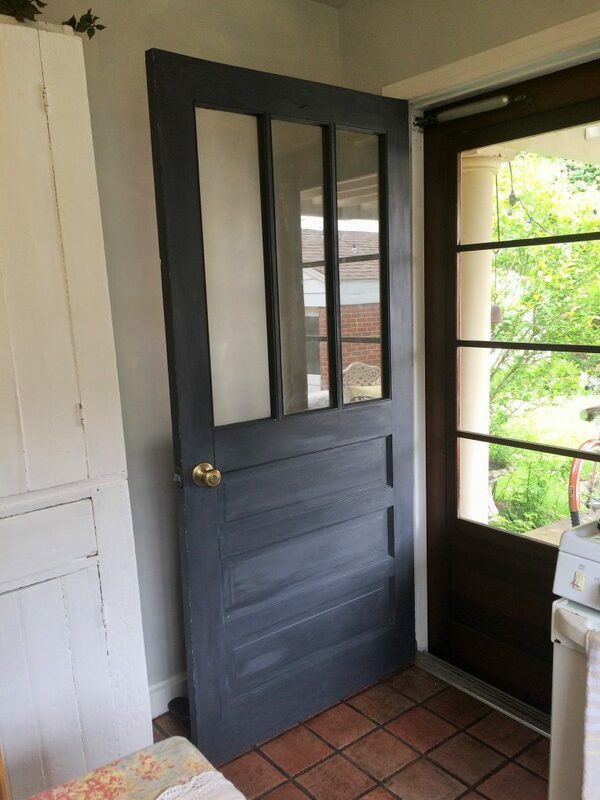 Chalk paint is thick and it dries quickly. I was able to paint a coat on all, and then immediately begin another. It took four coats to cover everything. 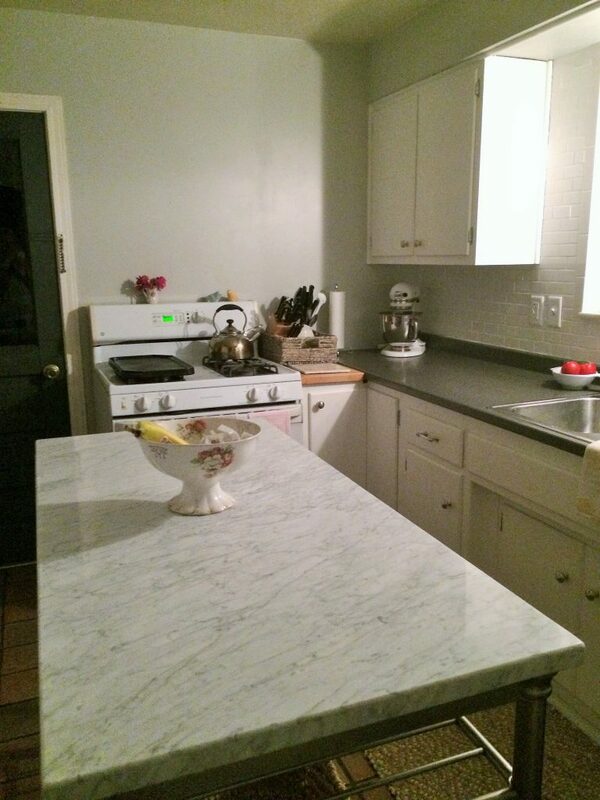 When finished, we put the whole kitchen back together before I waxed all of the cabinets and doors using a clear wax. I worked one cabinet at a time with a wax brush, but you can use a clean non-fraying towel also. Apply it in circular motion, then take cheesecloth and wipe the excess wax off. This seals your cabinets. After 24 hours, add a second coat. I think the more you buff them, the prettier they get. 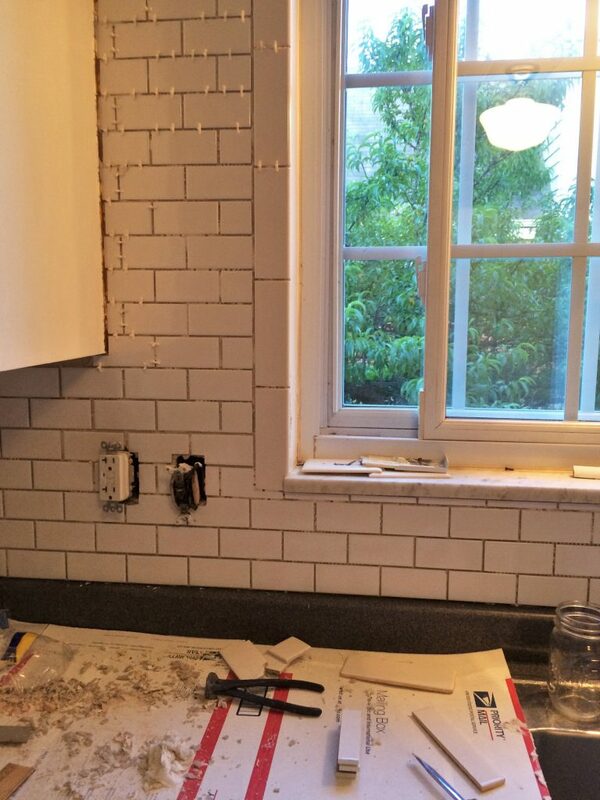 While I was working on waxing the cabinets, and painting the walls, Dino added a simple white subway tile back splash. 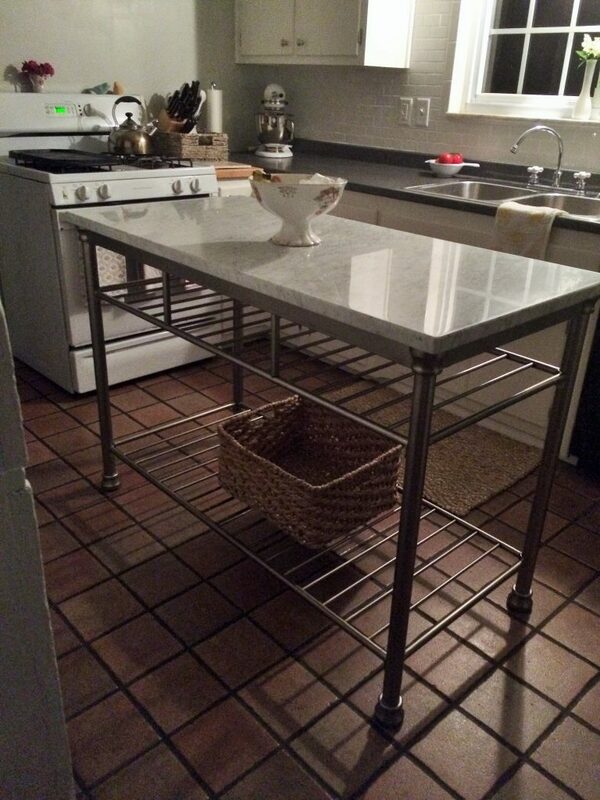 And we bought a small island from Target online. I added a link, because I get so many requests on it. 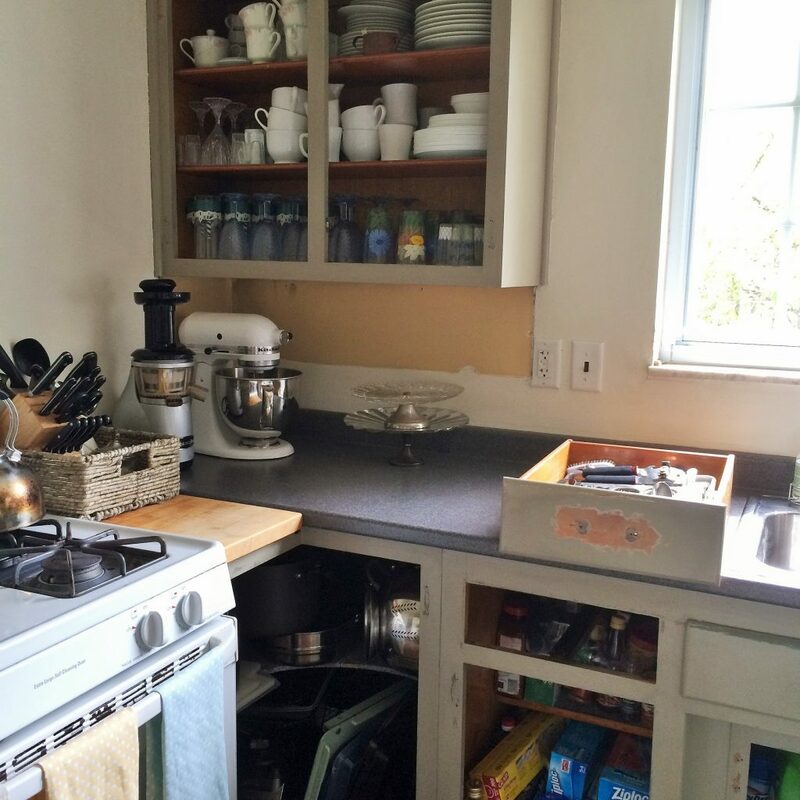 It has given me so much more counter and storage space. I really love it! 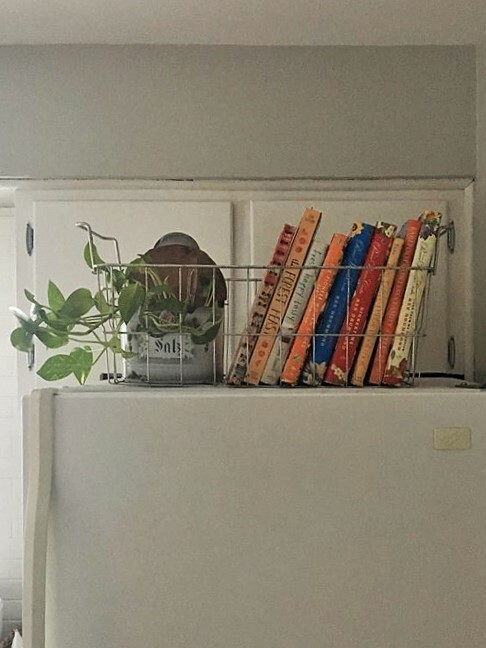 After 4 years, I have to say the chalk painted cabinets have held up wonderfully! No gumminess at all. Only, a few spots needed touching up. 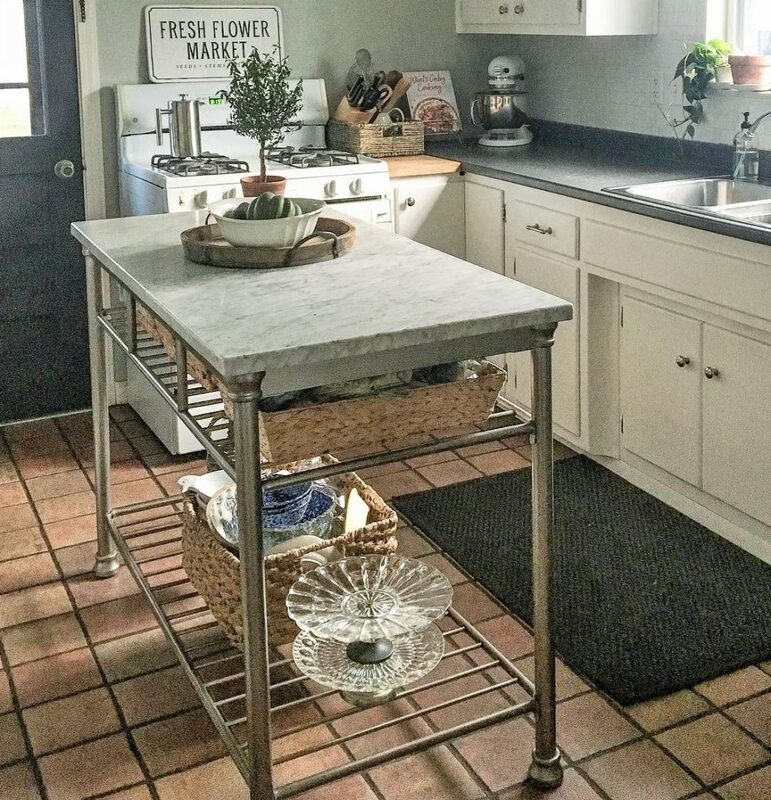 Unfortunately the original white chalk paint that I used was discontinued, so I ended up redoing them all with FolkArt Home Decor Chalk paint in cottage white. I used their brand in clear wax also. It only took about 4 hours. 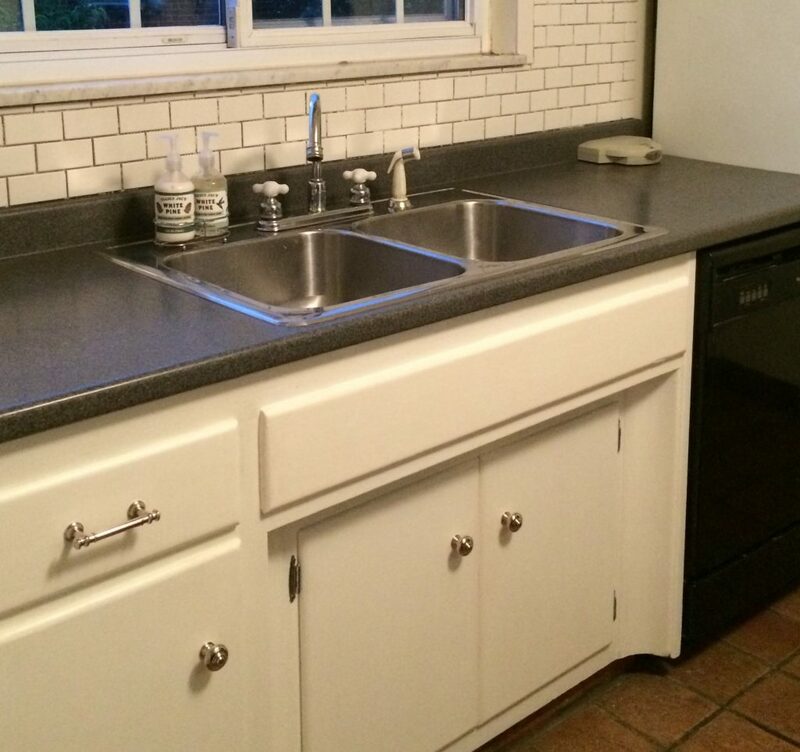 I took off all of the handles, wiped the cabinets down with mineral spirits, painted them, and re-waxed. It was very gratifying. If you are considering this, go for it! 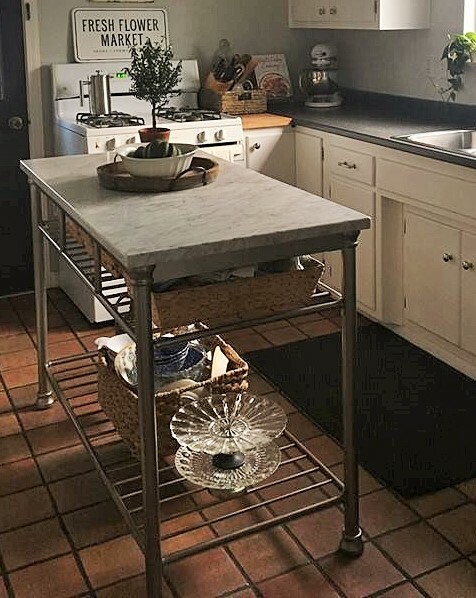 This project has made me so happy to have a kitchen that goes with the rest of my home. I wouldn’t think twice about doing it again! What an incredible project!!! !It is absolutely beautiful JennA lot of work you put into it, but what a great result.You are so talented, inspiring, and creative. I always reply, but with each story I cannot help myself!